We do all type of CNC Milling Machine Job Works at very competitive price. With thorough understanding of this business industry, we are engrossed in providing Heavy Duty CNC Milling Machine Job Work to our clients. Due to our personnel’s knowledge, we are able to meet the detailed needs of the clients within the given period of time. We have adroit employees, who offer these services in agreement with the defined guidelines. With the use of rationalized vertical CNC Milling Job Work, we offer a broad range of CNC Milling Jobs on CNC milling machine. 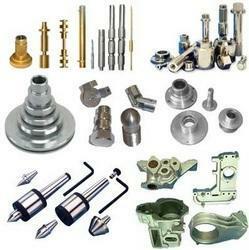 Our organization is engaged in undertaking metal job work and metal design services using these machines. We include pioneering techniques for rendering these services. Our services are rendered within promised time frame. Matching up with the ever increasing requirements of the customers, we are engaged in providing CNC Milling Job Work. Clients can avail from us superior quality CNC Milling Machine Job Work. These works are rendered by our professionals by optimally utilizing latest tools and technologies along with their domain expertise. We also specialize in offering these Milling Machine Job Work services as per the exact requirements of varied industries. 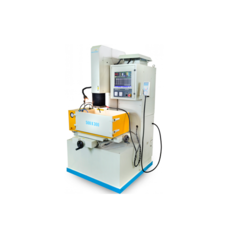 We are having this CNC Machine of ENSHU with the indexing table. This is the highly acurate machine for different porposes. We are one of the reliable companies in this domain and are offering CNC Milling Machine Job Work. As the world runs scarce on some resources, you have to find new ways to get the material out of the ground. Sky Engineering has been one of the leading developers in Milling technology. We have in-house machining facilities to get precision components machined to accurate dimensions so that rejection levels are bare to minimum.